Looking for a little whimsy in your kids decor? This charming rainbow themed hot air balloon hangs from the ceiling & comes in 3 different sizes (this is the medium). 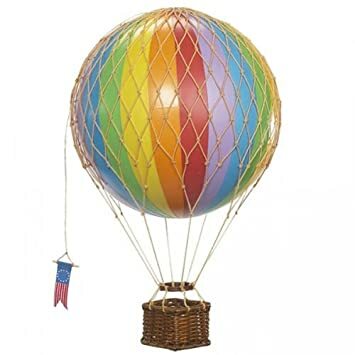 Travels Light Rainbow Hanging Hot Air BalloonBuy It!